Sneak Peek – Learning To Be Full Of Grace And Truth. 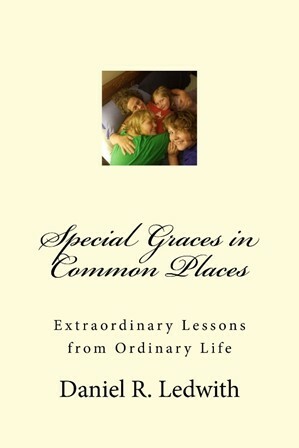 I would like to invite you to read a preview of a book I am finishing up called Special Graces in Common Places: Extraordinary Lessons from Ordinary Life. Jesus took lessons from everyday life to nurture, encourage, and grow His disciples. Through personal stories, lessons, and confessions I am to illustrate how Jesus still teaches us in the everyday stuff of life so that we can excel at working out the grace that God is working in us. Before I put the finishing touches on it I wanted to ask for your feedback. By checking out the link below, you will be taken to a page where you can read the draft of the introduction as well as the first three chapters. There are several questions I have there that you will have the opportunity to answer. And please feel free to leave additional questions comments about it here as well. The more feedback I get the better. Special Graces in Common Places will be available both in paperback and Kindle formats. I plan to give my WordPress readers a great deal on the Kindle version since I will have more control over its price. I will let you know when it is done. Thank you in advance for sharing your thoughts.